Japanese folklore has had an enormous influence over videogames since the earliest days of the medium, as can be attested to by titles such as Pokémon, Super Mario Bros and Shin Megami Tensei. These games commonly draw upon Japanese yokai (monsters) and kami (deities) to inform the names and designs of characters, and they’re far from the only ones to do this. From Animal Crossing to Dark Souls, evidence of yokai and kami can be observed throughout the world of videogames to such an extent that it’s almost impossible to ignore. So, today, we’re going to look at eight of the most notable examples. 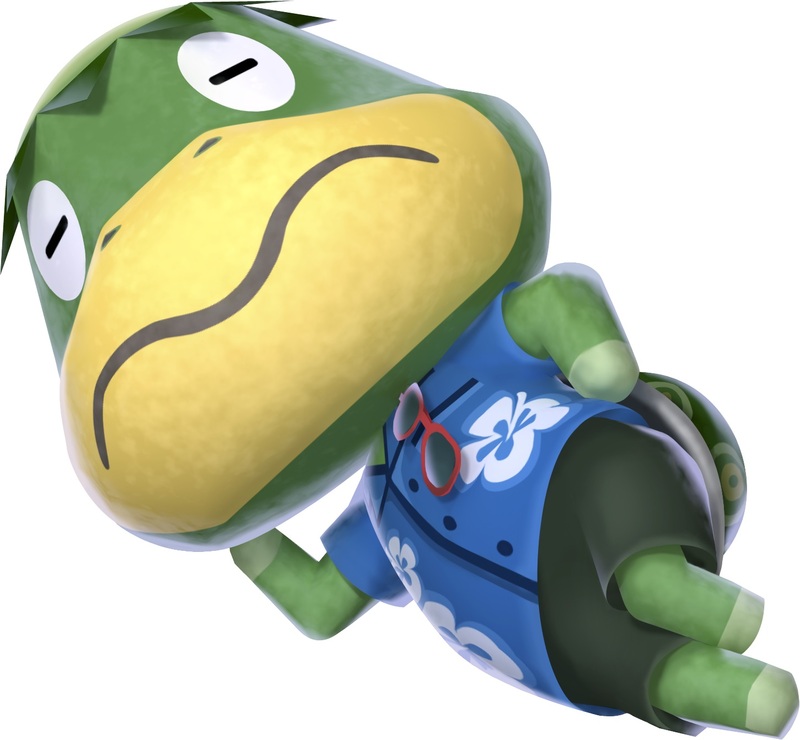 You might recognize Kapp’n as the green sea turtle who ferries villagers to Tortimer Island in the Animal Crossing games. But did you know that he’s not actually meant to be a turtle at all but a water spirit called a kappa? Kappas are mischievous spirits said to haunt rivers, ponds and lakes. They were often blamed for drowning horses and in some cases children, so to appease them individuals would throw cucumbers (the kappa’s favorite food) into water prior to bathing or swimming. This would allow them to swim unmolested. The depiction of the kappa as malevolent has somewhat softened over time. It has instead given way to a more lighthearted representation—one that doesn’t involve murder or drowning. It’s this 20th century reinterpretation of the kappa that inspired the character of Kapp’n in the Animal Crossing games. Similarities between Kapp’n and the kappa include their appearance, their name (in the Japanese version of the game at least) and their mutual love of cucumbers. Traditionally the nurikabe was a wall-shaped demon that would impede the way of travelers at night. Only by hitting it in a very specific spot could you pass and carry on along the way. Sound familiar? It should. 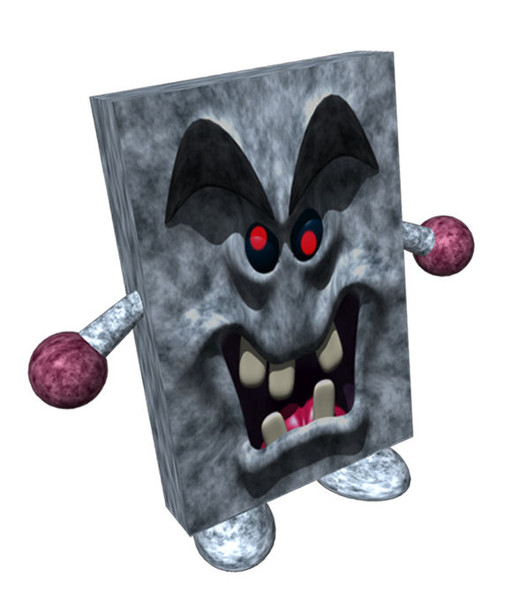 The nurakabe served as the main inspiration for Whomps in Super Mario 64. Shared characteristics involve its method of elimination—you smash it to pieces by targeting a weak area—and its design, which closely resembles illustrations of the yokai created by the esteemed manga artist Shigeru Mizuki. Otherwise known as “the filth licker”, the akaname is a demon frequently portrayed with a huge tongue, and a single claw on each foot. It was reported to frequent bathrooms at night and to lick grime and dirt off the walls and floor. More recently, however, it’s been responsible for sparking the imagination of Japanese artists. The bipedal Pokémon Lickitung is a sign of this. Its long, prehensile tongue and clawed feet are directly inspired by the akaname. It also enjoys cleaning too, which further connects it to its ancestor. Worth noting is the fact that Lickitung isn’t the only character to draw on the iconography of this spirit. Yo-Kai Watch also boasts its own variation on the akaname, which is perhaps the more faithful rendition. Gashadokuros are mythical creatures comprised of the bones of people who have died of starvation. They appear in the Yo-kai Watch series of games, albeit with no mention to their traditional origin. 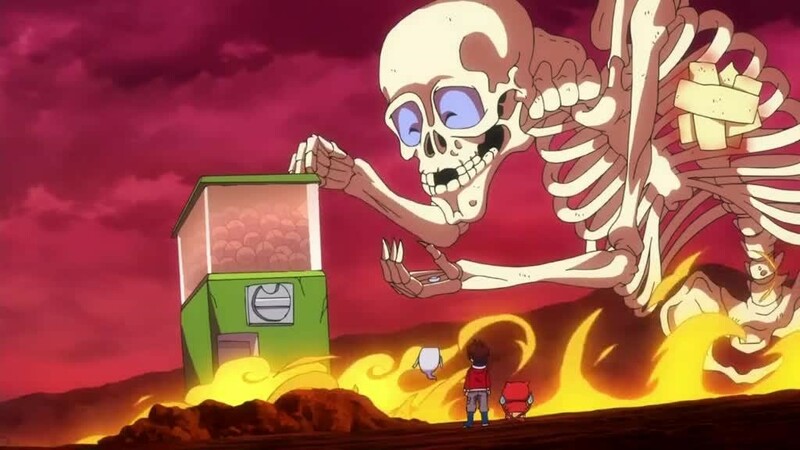 In the second Yokai-Watch game you encounter a gashadokuro when trying to retrieve a Mr. Epockman capsule from a gashapon machine. Seeing you struggle, this skeletal creature goes out of his way to make the job even more difficult, assuming control of the machine you’re using. To vanquish the demon, you must battle him with your Yo-Kai friends. Should you be successful, you’ll then be rewarded with the capsule that you desire. It goes without saying that capsule toys play no part in the original stories about the gashadokuro. His love of gashapon can therefore be seen as an attempt to make the character appeal to a younger demographic. This toy was arguably chosen over other types for having the same pre-fix as the demon’s name. The mythical jor?gumo or “whore spider” is found throughout Japanese culture. Commonly portrayed as a spider that assumes the form of a beautiful woman to ensnare passers-by, it’s been responsible for inspiring a slew of humanoid spiders throughout the years. Quelaag from Dark Souls, for example, is based on this mythical beast. From the waist up she appears to be an attractive female, though her lower body betrays her more sinister nature. It’s worth mentioning that she isn’t the sole example of a jor?gumo in gaming too. The videogame Okami is also notable for featuring a character with both human and spider characteristics. 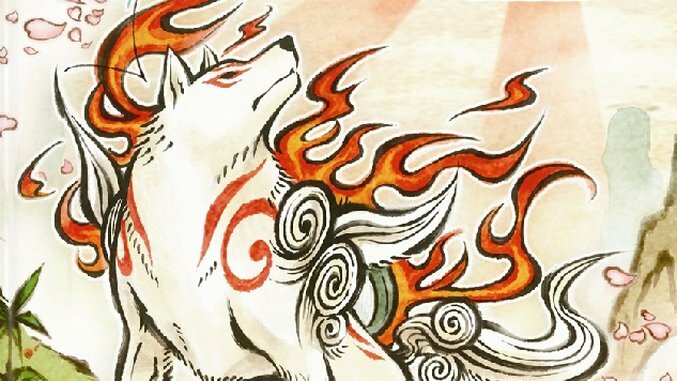 Okami isn’t shy about the influence of Japanese folklore on its narrative. Amaterasu, the protagonist, is very clearly modeled after the kami of the same name that appears in the Shinto religion. In the game, Amaterasu’s role is to combat Orochi, an 8-headed dragon demon. Awoken from her slumber through the use of a magical mirror, she’s ordered to locate the Celestial Brush gods, to master new powers and restore the world to normal. 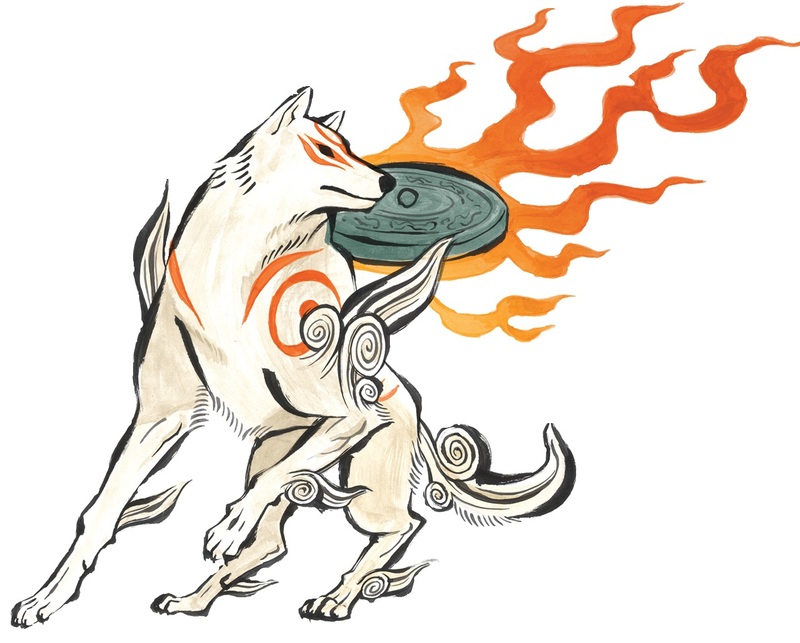 The videogame Okami is somewhat unusual in that it presents Amaterasu as a white wolf—something not referenced in any historical text. That doesn’t devalue the experience, though, as there’s tons of familiar iconography on display elsewhere. Examples include the magical mirror used to free Amaterasu and the blade of Kusanagi needed to slay Orochi. One of the more chilling monsters on the list, the amanojaku was thought to provoke people into doing evil deeds against their will, as well as devouring human beings before wearing their skin. It makes an appearance in the videogame Shin Megami Tensei. 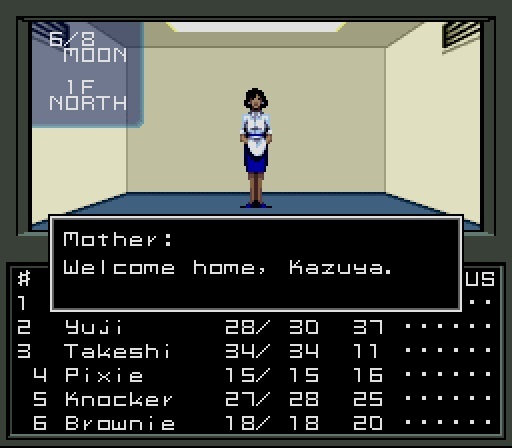 Returning home, Kazuya discovers his mother acting weird. She bids him to come closer, but something isn’t right; a monstrous voice emanates from the familiar figure. Realizing the form in front of him isn’t actually his mother, he demands it reveal itself. Shedding its disguise, the creature then transforms, claiming to be an amanojaku. In Stock Pott Inn, in East Clock Town, you may want to think twice about using the lavatory. Why? Simply put, it’s home to a demon known as an aka manto. Traditionally, the aka manto is portrayed as a hand extending out of a toilet. In a ghostly voice, they’ve been known to ask visitors in the past to pick between blue and red paper. If the person answers blue it is said that they’ll die by strangulation. But if they answer red it’s stated that they’ll be torn to shreds. 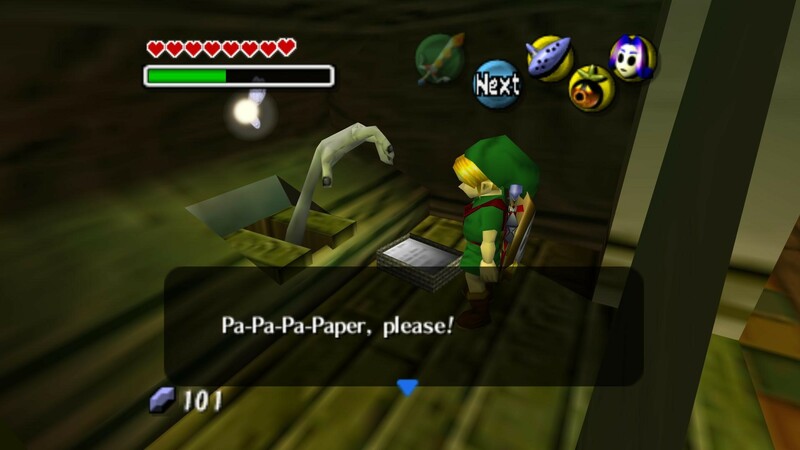 Rather than killing those who come across it, the aka manto in The Legend of Zelda: Majora’s Mask offers rewards to anyone who gives it paper. It isn’t as malicious as the classic portrayal outlined above. Though that still doesn’t prevent it from being an unsettling presence.